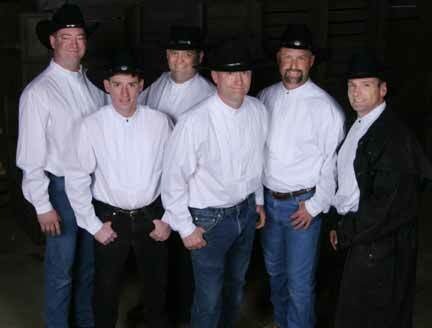 The “Rossi Posse” wants to see YOU at this year’s Barn Bash on July 8! The 100-year-old working farm, across the street from Parkrose High, grows more than crops. It also supports programs to grow kids into good citizen adults by providing youngsters with wholesome activities. Because funds for student activities have dwindled over the years, Joe Rossi–third-generation farmer of Rossi Farms–started the non-profit Parkrose Youth Activities Fund. Holding an annual “Barn Bash” is the way Rossi, as well as his father, Aldo Rossi, and eleven other sponsoring businesses raise money for the Youth Activities Fund each year. Last year’s Barn Bash generated $17,000 for the fund. Talk to any of the 1,700 guests who came last year, and you’ll hear it’s the best party in East Portland. The Parkrose Lions Club’s secret-recipe barbecued chicken is so hot, tender and tasty that this all-you-can-eat feast brings back folks year after year. “We’re hoping for 2,000 guests this year,” Rossi says. During the second weekend in July, in the height of their growing season, the Rossi Farm’s public produce store closes down for four days to get ready for the Barn Bash. The store is transformed into a western dance hall featuring “The Last Rodeo Band” and Widmer Brothers no-host beer garden; the back lot into a wild-west live action show set; and most of the parking lot into a huge, tented outdoor dining area. Later in the evening, guests sit on hay bales and enjoy the premi?®re of a new film by written, directed and starring Parkrose High students, “The New Legend of Nick Rose” in the outdoor theater. Don’t miss the big event of the summer season in outer East Portland! July 8, 2006; 6 pm ‚Äì Midnight ~ Dinner served between 6 ‚Äì 8 p.m.
+ Premi?®re of a new film by Parkrose High School students. Cost: Just $12 per person.